Once a month, Dr. Robert E. Parker III would leave his home in Pittsford and drive to a clinic in northeast Rochester, where he would spend the morning providing free dental care to people with no other options. Dr. Parker did this for 24 years. And to each exam or dental procedure he offered to patients at the Mercy Community Services Outreach Center, he added a touch of good will. "He brightened the lives of our patients, staff and volunteers with his smile and his friendliness," said Ellen Lewis, the outreach center's site manager. "He was so dedicated to serving the uninsured patients who came to Outreach and had such a kind personality. He will be missed." Dr. Parker, who practiced dentistry in the Rochester area for more than three decades and held positions of prominence in dental societies, died Saturday evening at F.F. Thompson Hospital in Canandaigua. An avid skier, Dr. Parker had gone to Bristol Mountain Ski Resort in Ontario County on Saturday morning. Another skier later told an Ontario County sheriff's investigator that Dr. Parker appeared to lose control as he headed down the slope. A moment later the witness found Dr. Parker off the trail and lying near the base of a padded wooden fence post. Investigators believe he most likely struck the post, causing severe injuries that lead to his death. 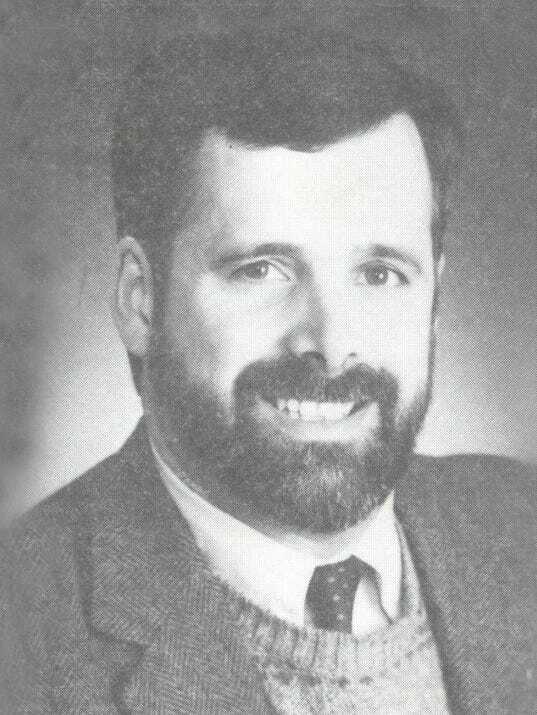 Dr. Parker, who was 59 years old, grew up in Brighton and Pittsford and attended McQuaid Jesuit High School. He earned a bachelor's degree from St. John Fisher College and was awarded his doctorate of dentistry by the University at Buffalo School of Dental Medicine in 1980. He had for many years been a partner in Westfall Dental, a general dentistry practice in Brighton. "You probably wouldn't find a a kinder soul, with a real concern for his patients. That was number one with Bob," said Dr. Thomas Gibbs, a partner in Westfall Dental and a 30-year colleague of Dr. Parker. "The other thing that strikes me is that he was a guy that would not compromise his ethics. There are so many people out there that will take short cuts and do things the easy way. You didn't have to worry about Bob." Dr. Gibbs said the practice had begun contacting Dr. Parker's patients on Monday to let them know that he and a third partner, Dr. Peter Clement, would provide them continuing care. Dr. Parker's father, Dr. Robert E. Parker Jr., co-founded the Westfall practice in 1970 and worked there with his son. "He was a very caring, giving man. That just sums up the way he was," the elder Dr. Parker said Tuesday. He noted that one of Dr. Parker's two sons, Benjamin, is about to graduate from college and hopes to attend dental school. His other son, Robert IV, is in medical school. Dr. Parker was a former president of the Monroe County Dental Society and the 7th District Dental Society, a region that includes Monroe and seven nearby counties. He also was an alternate delegate to the American Dental Society from 2001 to 2007. "He was heavily involved with the dental society, in a local way and a national way," Dr. Gibbs said. "He had a strong feeling that he needed to give back to that part of the profession, which he did." Dr. Parker also was given numerous professional honors, including being named a fellow by the International College of Dentists, the American College of Dentists and the Pierre Fauchard Academy. He volunteered for many years for the Special Olympics, and also was involved with Boy Scout Troop 129 in Pittsford. He was a former president of the Brighton Rotary Club. Dr. Parker enjoyed many outdoor activities beyond skiing. "They did yearly trips to the Adirondacks — camping and hiking and fishing. But it always included his family," Dr. Gibbs said. In addition to his sons and his father, Dr. Parker is survived by his wife, Teresa; his mother, Joyce; sisters Elizabeth Parker and Ann Grosjean, and brothers, Scott (Elizabeth) Parker and John (Rosemary) Parker. Friends may call Friday from 2 to 4 p.m. or 6 to 8 p.m. at Anthony Funeral Chapel, 2305 Monroe Ave. in Brighton. Friends are invited to bring a written memory or photo of Dr. Parker for the family's Memory Book. A Funeral Mass will be held at 9 a.m. Saturday at St. Louis Church, 60 S. Main St., Pittsford. In lieu of flowers, contributions in Dr. Parker's memory may be made to the Mercy Community Services Outreach Center, 142 Webster Ave., Rochester, NY 14609 or Special Olympics, 1 Grove St., #216, Pittsford, NY 14534.